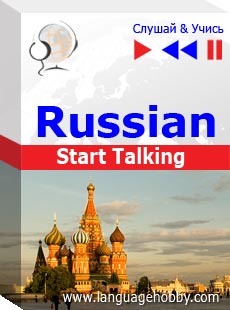 Listen to "Russian Start Talking" on your iOS and Android device. This is an audio course for learning by listening, which is aimed to break down the speaking barrier. All the words and expressions are recorded with translations, which enables easier use of the course and allows for faster mastery and consolidation of the material. This is effective learning, easy and available to everyone. - answering questions and independent formation of sentences and questions while following the teacher's instructions.